Isn’t it soooo adorable?!!? I’m dying. I love the homey, cozy feeling it has and of course any set with pastries I’m game. I adore the tart (I’m so going to make a clay version), the teapot (I am obsessed with teapots) and the kettle! Even the little cardboard kitchen that will come with the box is super adorable. I am definitely ordering this set as soon as it comes out in October. I’ve already pre-ordered my Rilakkuma deer plush from Miraplush and I can’t wait to get it! 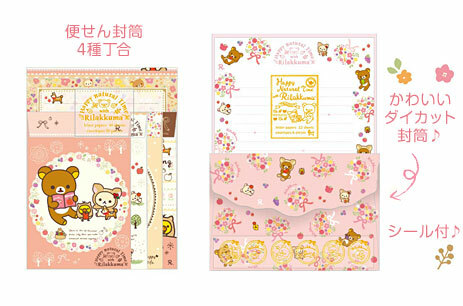 I need to get all the stationery for this series too! So cute!